Celebrate your special bond. 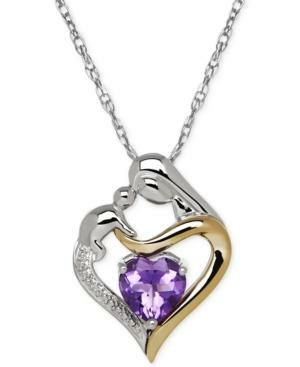 This gorgeous pendant necklace flaunts a heart-cut amethyst (1-1/10 ct. t.w.) centerpiece illuminated by single-cut diamond accents. Crafted in sterling silver with 14k gold trim. Approximate length: 18 inches. Approximate drop: 7/8 inch.